My guess for the 3 post-2030 MRT lines which will be announced later this year are North Coast Line (NCL), Seletar Line (SLL) and Holland/Western Region Line (HLL/WRL). 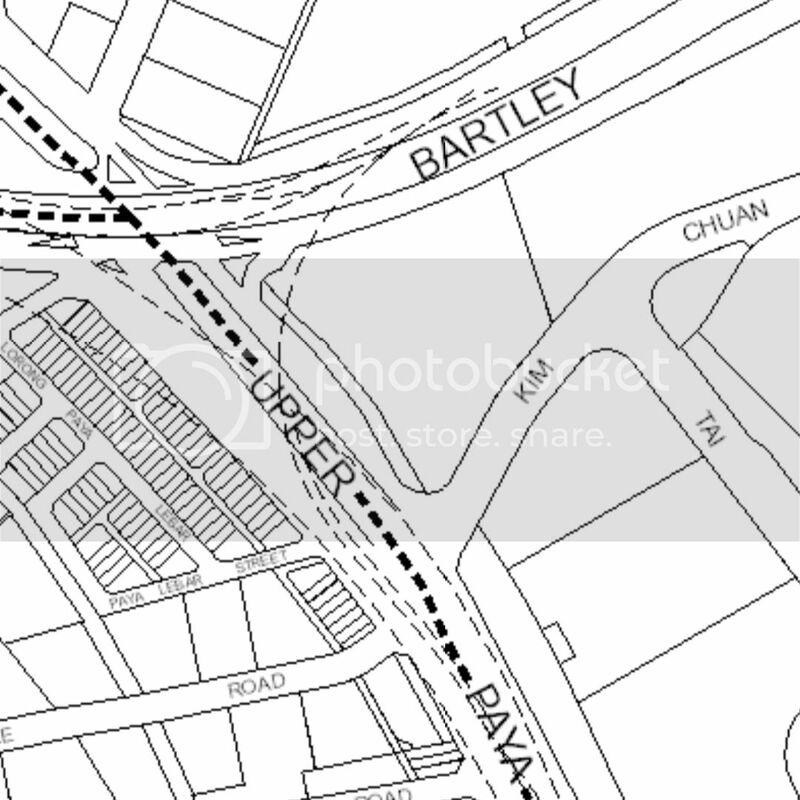 Seletar Line (SLL): Somewhere in Seletar - City? Holland Line (HLL)/Western Region Line (WRL): Somewhere in Tengah - City? Let's first of all match the resembling London rail lines with the Singapore rail lines. East West Line, green, resembles the District Line, also green colour. The 4 branches of the District Line seems exactly what the Singapore government wants of the East West Line. North East Line, purple, resembles the Metropolitan Line, also purple colour. Except, the Metropolitan Line goes North West while the North East Line goes North East. Similarly, the Metropolitan Line has branches. But practically, there's no need, and no provision available, for the North East Line to have branches. Downtown Line, blue, resembles the Piccadilly Line, also blue colour. Both lines have a loop, except the Piccadilly Line's loop is at the western end while the Downtown Line's loop is at the center. Thomson East Coast Line, brown, resembles the Bakerloo Line, also brown colour. Similar to the Thomson East Coast Line, the Bakerloo Line runs North-South, and East-West, except at different proportions. Jurong Region Line, turquoise, resembles the Docklands Light Railway, also turquoise colour. Both the Jurong Region Line and Docklands Light Railway have elevated sections and uses narrow gauge trains to manoevure around densely populated areas. 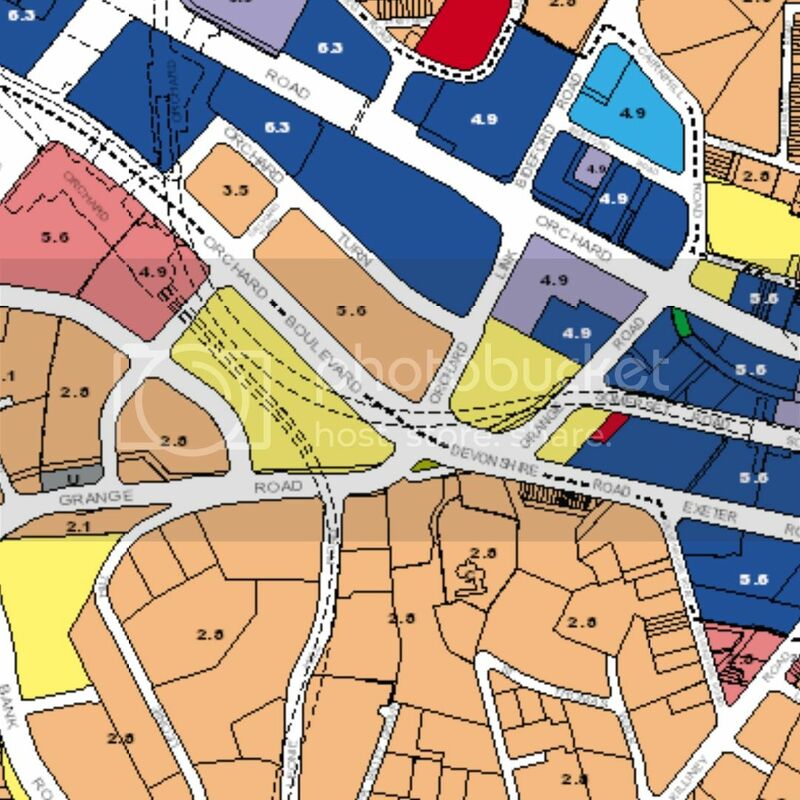 Cross Island Line, lime green, is probably a copy of the London Trams. In terms of layout, it matches. But in terms of type, they are obviously different. If adapting the operating patterns of the London Trams is the Singapore government's intention of running the Cross Island Line, we can forget about the Cross Island Line branch from Pasir Ris to Punggol to be extended to become another line, or any other possibilities to happen. Likewise for the possible absorption of the East West Line Tuas South Extension by the Jurong Region Line; it won't happen. If copying the London rail lines, or should I say adapting the London rail lines into Singapore's landscape, is the intention, the future line colours are definitely pink, black, light blue, and a re-use of blue, orange and red colours, as well as a repetition of other colours, for other forms of rail transport besides the MRT and LRT. Essentially, I'm referring to the High Speed Rail and the RTS Link. The pink that is used on Sentosa Express would almost certainly be reused on the "Hammersmith & City Line" that will be "replacing" the circle line when the latter comes full circle. As to how the "Hammersmith & City Line'' would work on our existing circle line, it remains to be seen. But at minimum, I'm expecting the "Hammersmith & City Line'' to run between Promenade and Dhoby Ghaut only, sharing tracks and platforms with the circle line at Promenade station. A different livery may be adopted to differentiate the "Hammersmith & City Line'' from the circle line, as with an extension of the "Hammersmith & City Line" from Dhoby Ghaut to Ulu Pandan Road, to form a probable "Holland Road & City Line'' or some sort. Looking at how the Singapore government copy the London rail lines, this name is possible. And it would be pink, just like the "Hammersmith & City Line". The black line in the London rail network refers to the Northern Line, which if adapted into Singapore's rail network, can either be a break-off from the Cross Island Line Pasir Ris-Punggol branch line, to become the Northern Line in Singapore, or for other future MRT lines that runs in the North-South manner, as with the Northern Line in London. With this, I'm looking at a MRT line that runs North-South along Lim Chu Kang Road, and sprawling out across the towns and developments of West Singapore. But as local Singaporeans know, a MRT line covering the Lim Chu Kang area is unlikely going to happen in the foreseeable future, owing to the relatively rural nature of the area, where the population is just not enough to warrant a MRT line covering it. Moving on, the light blue line in the London rail network refers to the Victoria Line, a line that runs North-East with a meander around the western area. Forummers have long speculated a "Seletar Line" running parallel to the North East Line from Seletar to the city. If the Victoria Line is to be adapted into Singapore, and for the purpose of complementing the North East Line and connecting Seletar to the city, the "Victoria Line" would probably meander around River Valley and Bukit Merah area before arriving at the city, which explains why there is a platform with two tracks that won't be used for circle line services, at the upcoming circle line Prince Edward Road station; it's probably for the "Victoria Line" adaption in Singapore, or as long hypothesized, the Seletar Line. Based on how the Singapore government is adapting the London rail lines into the Singapore rail network, pink, black and light blue are the next colours to be used for the future 3 new MRT lines, and the rail lines to be introduced are likely to be the "Hammersmith & City Line'' adaptation into Singapore (probably "Holland Road & City Line"), the "Victoria Line" adaptation into Singapore (probably "Seletar Line"), and the "Northern Line" adaption into Singapore (probably a line that covers the western catchment area, although unlikely, if not given the lowest priority and completed the last among all the MRT lines to be developed). This is likely to be the last of the MRT lines to be built, given all the areas in Singapore would probably be adequately covered by then, and all that would happen afterwards are just extensions to MRT lines to enhance connections here and there. The future High Speed Rail would probably be reflected in the Singapore train system map as blue colour, similar to how the Sentosa Express is reflected pink colour on the map. Blue on the London rail network refers to the TfL Rail. Just like the TfL Rail, which runs out of London to Essex, the High Speed Rail will run out of Singapore to Johor, and beyond. Meanwhile, red is probably going to be reused to label the RTS Link, which runs two stations between Woodlands North and Bukit Chagar. This colour is reused on the London rail map to identify the Emirates Air Line, though it is not a rail line, but it is reflected on the London rail map nonetheless. Similar to the RTS Link, the Emirates Air Line has two stops, thus, owing to this similarity, and considering the RTS Link is not really considered to be part of the Singapore MRT network, like how the Emirates Air Line is obviously not part of the London rail network, but still reflected on the rail map anyway, the RTS Link is likely to be reflected in red on the Singapore train system map. The other colour that is repeated on the London rail map is orange, which is used to reflect the London Overground. What I feel is that this colour orange may be used again in the Singapore train system map in future, when autonomous vehicles begin offering public transport services in the pilot towns of Tengah, Punggol and Jurong Innovation District. It may eventually become a network, reflected in the Singapore train system map as orange colour, and reflected as a network within the MRT network, rather than as separate lines similar to the MRT and LRT lines that Singapore has, as the autonomous vehicles can have multiple routes that are constantly changing, just like the London Overground, with multiple lines but all reflected in the same colour. I will be expecting the autonomous vehicles to be reflected the same way as the London Overground, on the Singapore rail map, when the autonomous vehicles begin passenger service in future. This is my vision for the future developments of Singapore's rail network. If the Singapore government is essentially adapting the London rail lines and representation concepts into the Singapore rail network, this is what we can expect of the future developments of Singapore's rail network. I thank you for the time spent in reading this and understanding what I have written, and I look forward to having a constructive conversation with everyone regarding this matter. Honestly, I foresee trams happening soon, in the city area of Singapore, probably in the Marina South region around Downtown MRT and Marina South Pier MRT for a start, which would really spear the developments in the area. The trams, in the same style as Germany and Australia, would improve the city connectivity to a higher level considering the MRT has been optimised to a very high extent to improve the connectivity within the city. To improve the accessibility even further, trams is the answer. Running through roads alongside the road vehicles, but with dedicated lanes for the tram service, just that they share traffic junctions. Green spaces may have to be sacrificed for the trams to have the space required to exist, but I believe if the trams infrastructure is designed to be environmentally friendly, it would be a good substitute to the green spaces, which would have to make way for the tram systems. Some environmentally friendly features are of course having a green roof and having green spaces incorporated into the tram stations as much as possible, and of course, having the system run on solar power as much as possible. The more architectural aspect would involve computer simulations to make the infrastructure radiate less heat, etcetera, to make it environmentally friendly, and comfortable for passengers at the same time. Considering the Singapore government is pushing for a car-lite approach in its development and encouraging people to take public transport, having trams to complement the MRT in the city would encourage people to leave their cars behind and use the trams and MRT as a means of transportation within the city. If you look at the master plan, there is an overrun track of the Circle Line at Dhoby Ghaut Station, which runs along Orchard Road and ends just before the Central Expressway. It may be possible to extend the Circle Line from Orchard Road to Holland Road and make that "Holland Road & City Line" come true. 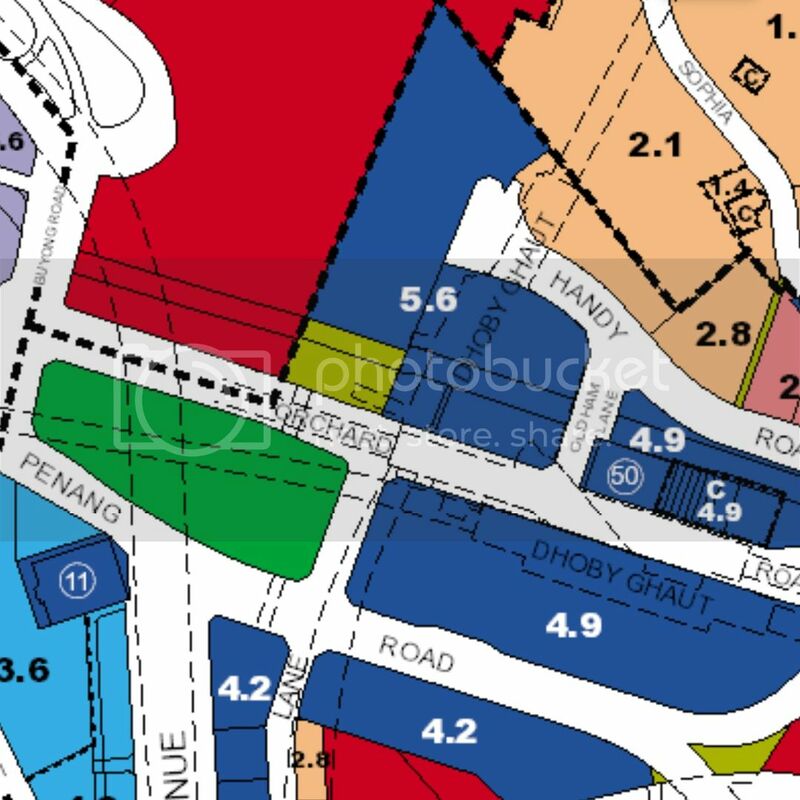 Whereas Orchard Road is filled with luxury developments, thus compensation may be quite high if the tunneling have to go through private-owned land, there are a few Reserve Sites at the western side of Orchard Road, as if reserved for the Circle Line to extend from Orchard Road to Holland Road. The Reserve Sites at Orchard Road provides ample space for the line to turn from Orchard Road to Grange Road, and go along Chatsworth Avenue (which also has Reserve Sites) and conveniently link up to Holland Road from there. In my opinion, the Reserve Sites along Orchard Road and Chatsworth Avenue may be provisions for the Circle Line to extend from Dhoby Ghaut Station to Holland Road, to create the "Holland Road & City Line", by absorbing the Dhoby Ghaut to Promenade section of the Circle Line when the Circle Line Stage 6 is completed. Whereas for the suggestion to run the "Holland Road & City Line" together with the Circle Line, as with the Hammersmith & City Line and Circle Line in London, United Kingdom, and subsequently branch off at Kim Chuan Depot to head towards Tampines Road and Lorong Halus, it may be possible. But, if we use that pair of connecting tracks for "Holland Road & City Line" services, Circle Line trains may not be able to use the pair of connecting tracks most of the time, which is not feasible. Unless it is feasible. I don't know. But for it to be feasible, the pair of connecting tracks must not converge into a single track on the way to Kim Chuan Depot (because this is what it appears to be on the master plan). Also, it must extend to elsewhere after Kim Chuan Depot so that it does not spend too much time at that pair of connecting tracks and end up affecting Circle Line services, as Circle Line trains need to use that pair of connecting tracks to connect between Tai Seng Station and Kim Chuan Depot. Otherwise, modifications must be done to reconfigure the tracks between Esplanade Station and Promenade Station, to create another station south of Promenade Station, so that this "Holland Road & City Line" can terminate at Promenade Station, and run independently, instead of running together with the Circle Line and have the tendency to affect the Circle Line services. 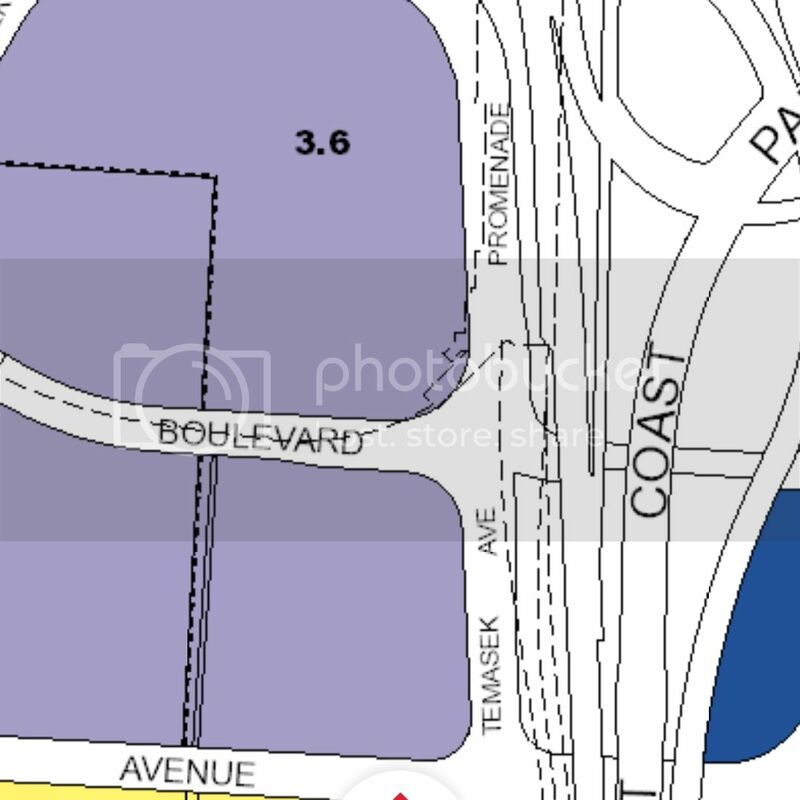 It may be possible to reconfigure the tracks between Esplanade Station and Promenade Station to create another station south of Promenade Station for the "Holland Road & City Line". And this may be the only option, if a MRT line runs along Holland Road and Orchard Road and absorbs the Circle Line between Dhoby Ghaut Station and Promenade Station. Such reconfiguration would require the Circle Line segment between Promenade Station and Dhoby Ghaut Station to close for a few years, before reopening as the "Holland Road & City Line". Nonetheless, given the alternative of City Hall Station on the North South Line and East West Line, and Bencoolen Station on the Downtown Line, which can take over the demands of Esplanade Station and Bras Basah Station, plus the fact that Dhoby Ghaut Station is also served by the North South Line and North East Line, the segment of the Circle Line between Promenade Station and Dhoby Ghaut Station can be closed for reconfiguration of tracks between Esplanade Station and Promenade Station. New Integrated Train Testing Centre by 2022. While DT4 Hume will open by 2025. Current time: 26 April 2019, 10:05 AM Powered By MyBB, © 2002-2019 MyBB Group.